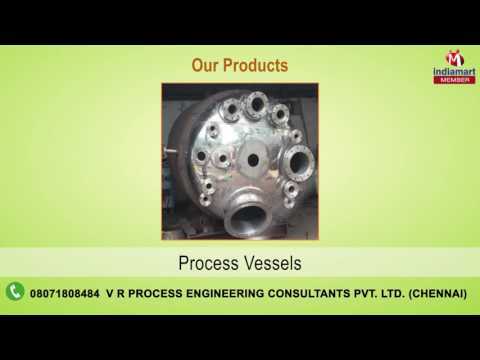 V R Process Engineering Consultants Pvt. Ltd. is basically a private limited base company, which established in the year 2013. Our company is the prominent manufacturer, exporter and supplier of Extraction Plants, Biodiesel Production Plants, Distillation Plants and many more. We also offer most reliable turnkey services. These products are highly used in industrial, domestic and commercial areas. Offering products are easy to use, highly durable, reliable, long functional life and more efficient. We manufacture these products using standard grade raw material that buy by the certified vendors of the markets who have excellent experience in their field. Quality of product is the main objective of our company. We are efficient to satisfy our clients completely. Our professionals have deep knowledge and experience in their domain that helps in producing best quality products which mostly satisfied the customers. By providing best quality products to our customers, we have maintained a trustworthy relationship with our valuable clients and other organization in the market.